Open Circle Participants in Apple Valley will find all the hallmarks of Augustana Open Circle’s dedication to community and connections, in an environment that promotes healthy living and independence. Learning opportunities, stimulating conversation, interactive activities and engaging entertainment are all part of each member’s day. As Open Circle in Apple Valley is part of the Apple Valley Villa, the community’s beautiful grounds are easily accessible. To contact Augustana Open Circle in Apple Valley, contact pcrawfor@augustanacare.org or call 952-236-2524. Augustana Open Circle of Heritage Park is honored to be part of the first public housing community in the country to offer housing and services to older adults with low incomes. Augustana Open Circle of Heritage Park is part of the Heritage Park Senior Services campus, developed by the Minneapolis Public Housing Authority (MPHA). The campus gathers the services needed most by older people under one roof. Partners include the MPHA, , the Courage Center, Neighborhood HealthSource, the Minneapolis Highrise Representative Council and the YMCA of the Greater Twin Cities. To learn more about Augustana Open Circle of Heritage Park, contact pryan@augustanacre.org or call 612-843-4940. 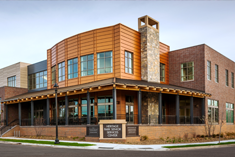 Augustana Open Circle in Hopkins was our first location for adult day services and is a recipient of the Adult Day Center Award from the Minnesota Adult Day Services Association. The award recognizes Augustana Open Circle as an innovative adult day program that provides outstanding care through unique, well-established community partnerships. Members welcome newcomers, sing in the choir, work on community service projects and discover new friends and connections. 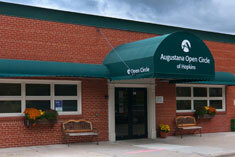 For information about Augustana Open Circle in Hopkins, contact psgaard@augustanacare.org or call 952-935-8143.